Welcome To Studio Bill Locke! 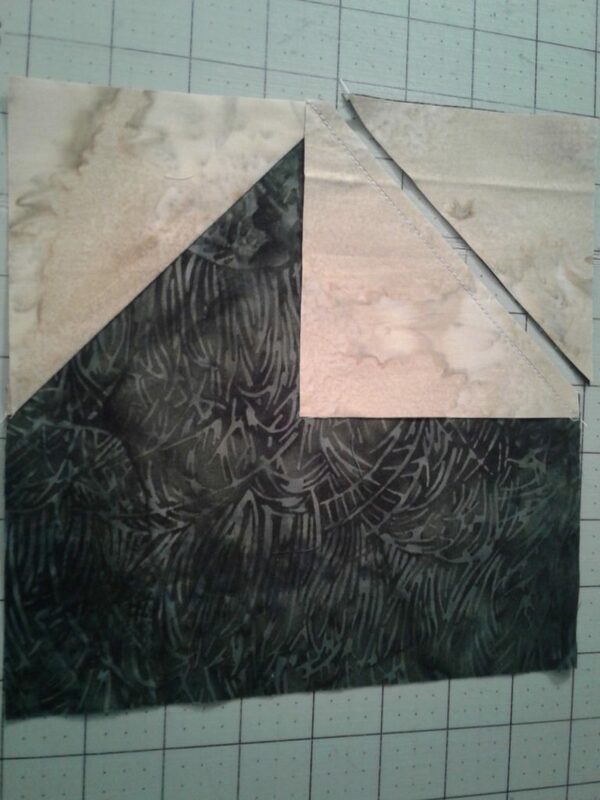 February 1st marked a new fun time in my quilting…since it was the start of my ISLAND BATIK AMBASSADORSHIP 2019. 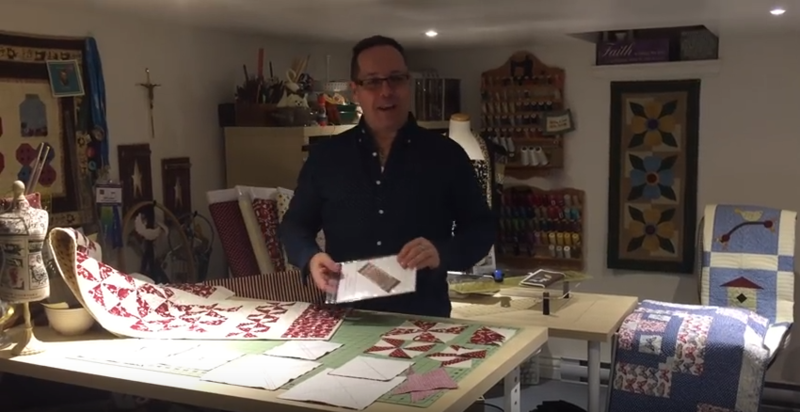 Many of you watched the unveiling video where I shared so many wonderful things that were sent to the Ambassadors this year to use in the creation of wonderful, fun projects to showcase the ISLAND BATIK Fabric, HOBBS Batting, AURIFIL Thread and as well the ACCUQUILT Go Cutter. For February, the challenge for all Ambassadors was to create a “MAGNIFICENT MINI”. In 2012, I designed a pattern for a “VINTAGE MINI RUNNER” but have put it aside to recreate in a different style/theme at a later date; I knew that when I started to work on my “Magnificent Mini”, my mini runner was going to be the base on this project. I love taking the more modern batik prints and introducing them to a more traditional approach of quilting. This new version of the “VINTAGE MINI RUNNER” is an extension of that idea. Measuring just 10″ x 23″, it is the prefect size for a fun afternoon project; and definitely an adorable “Magnificent Mini”. 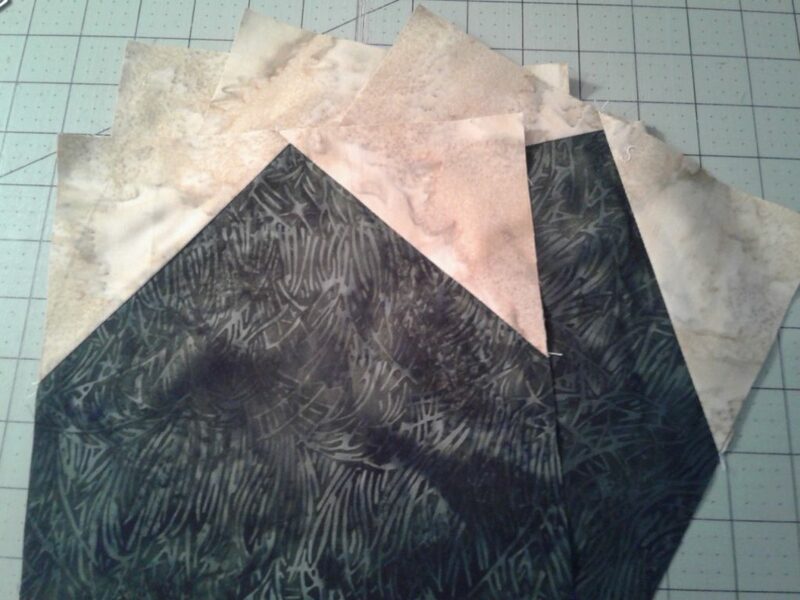 For this project, I dug into my delicious Island Batik stash to find a mix of cream background strips for my base; and then from my new Ambassador Box, I found these special prints for my appliques and binding. The prints all beautiful but I especially love the one that I found for the flower basket binding – One 5″ stripe was enough to complete this part of the project. 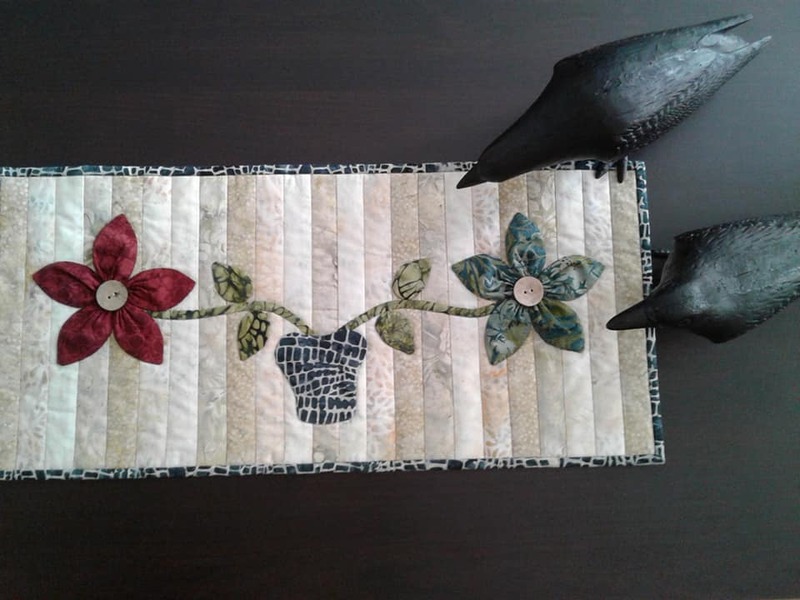 The “Vintage Mini Runner” is made up of an assortment of 1-1/2″ strips that I used to prepare the base of my project in a QUILT-AS-YOU-GO (QAYG) Method. 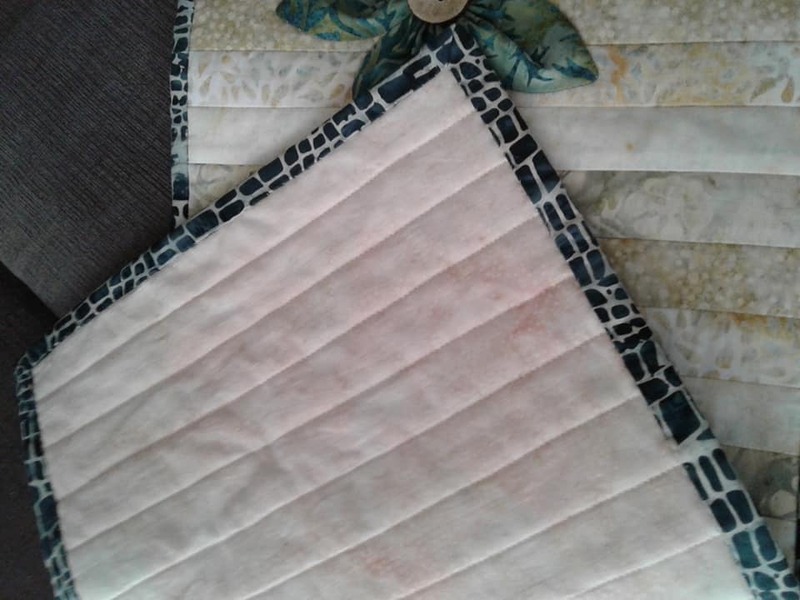 The QAYG method is a wonderful way to complete a project more quickly and easily since the project is quilted once you finish the runner top. 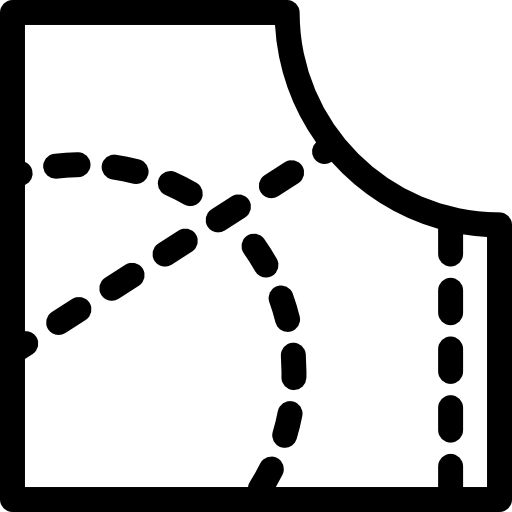 The applique technique that I used is one that I call “APPLI-SIMPLE” where the appique pieces are backed with a very light-weight interfacing. 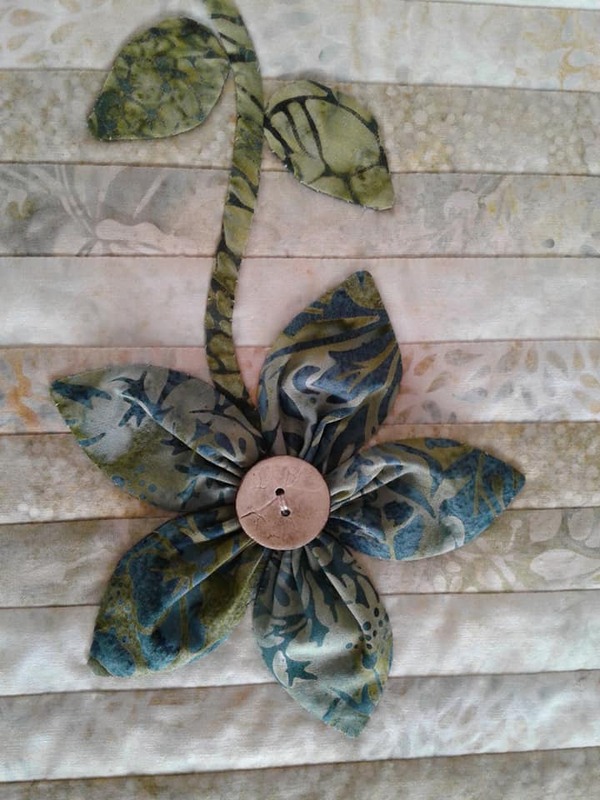 In additional to using the “APPLI-SIMPLE” method, I’ve also done this project in a 3-D effect with the petals of the flowers having some depth in the applique process. 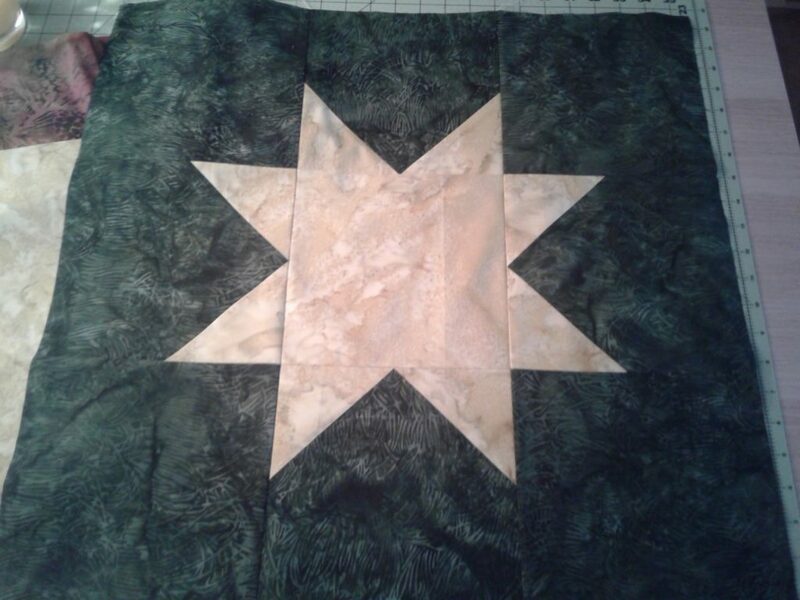 The Appliques were completed by hand. 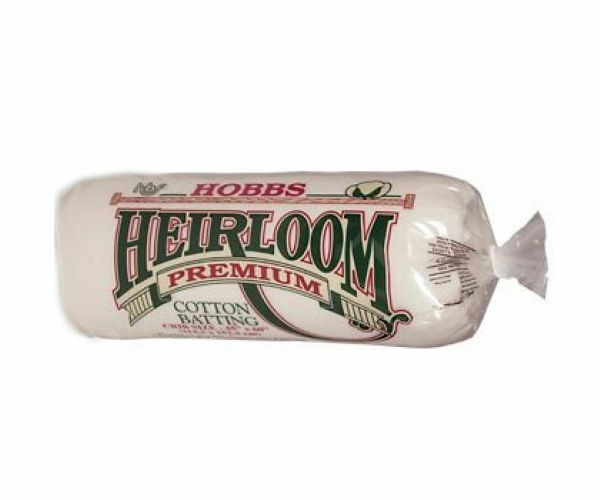 The batting used in this project is the HOBBS CHIEIRLOOM PREMIUM Cotton Batting, 80/20 Cotton/Poly. This batting has the perfect weight and drape quality that I enjoy for my table runner and other simpler projects. I’ve had a lot of fun with this project; and am already thinking about the March project for our Ambassadorship……. be sure to subscribe to my blog; and remember your comments are very welcome. 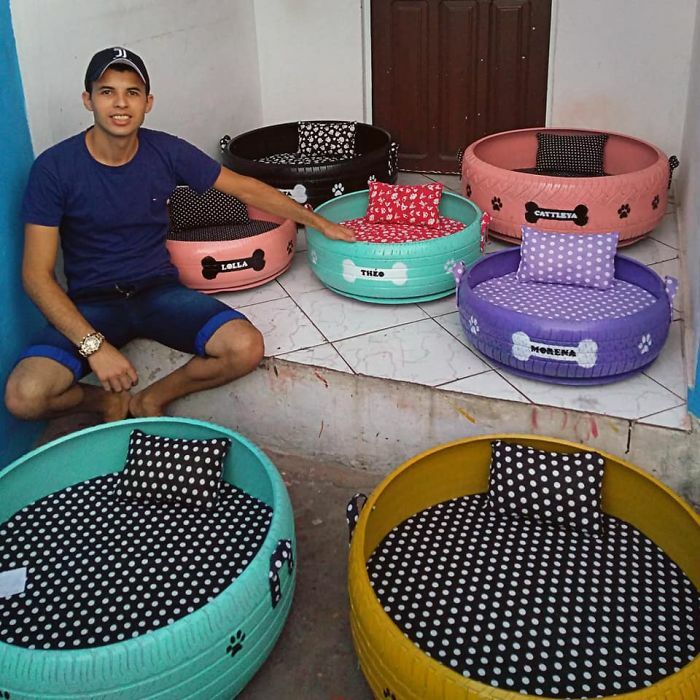 What a wonderful way to recycle, add a little sewing – and make a difference….this guy is rocking his part of the world…. it certainly is a good thing!!!!!!! FIFTY 2019 Island Ambassadors to visit today!!!!!!! Here’s a little something for you to do while you are enjoying a cuppa today…. 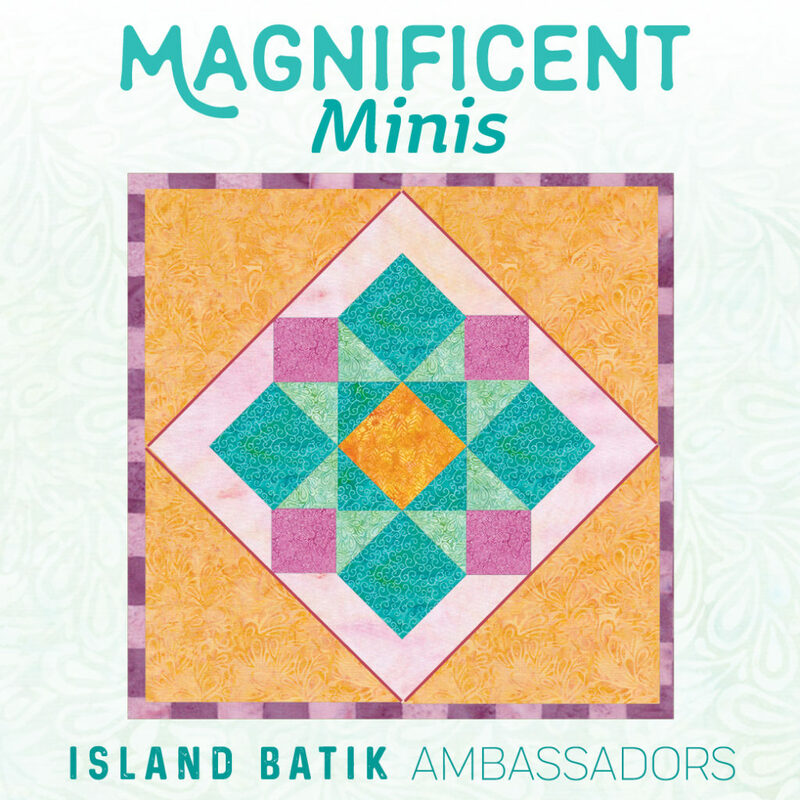 click on the link below to visit ISLAND BATIK and check out the 2019 ISLAND BATIK AMBASSADORS,,,, check out their links, follow their blogs, lots of great creativity in our 2019 group of 50 Ambassadors. Each year, Island Batik chooses a number of designer to join their Ambassador program for the year. I am very excited to have been chosen to be one of those members for 2019. Twice this year, we will receive goodie boxes of beautiful ISLAND BATIK Fabrics as well as products from their partners – and we’ll design and create fun projects each month so showcase the products and to share creative ideas with you. 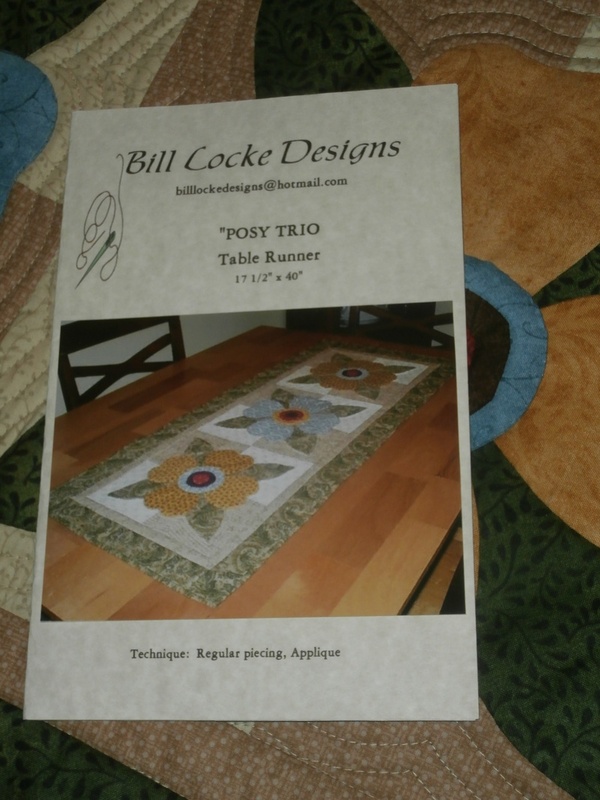 For the Studio, I’ll be posting on my blog regularly, as well, Live video feeds will be uploaded to my Facebook page both BILL LOCKE https://www.facebook.com/bill.locke.96 and BILL LOCKE DESGIGNS https://www.facebook.com/Bill-Locke-Designs-117513704974214/ . All Videos will also be uploaded to my YOUTUBE Channel. https://www.youtube.com/channel/UCTs89QP861pvw_HWuwzguFw?view_as=subscriber . Please my Facebook pages to friend/like the pages in order to follow along with all that is happening at the Studio. Also, please be sure to check out my YOUTUBE Channel and subscribe to my page to receive updates of all that is happening there. There will be videos showing tons of fun precuts, demos, and even some fun giveaway…so you don’t want to miss out on those. Yesterday I uploaded a Studio video to share the opening of the first 2 boxes that have arrived for the new Ambassadorship program….be sure to check it out!!!! 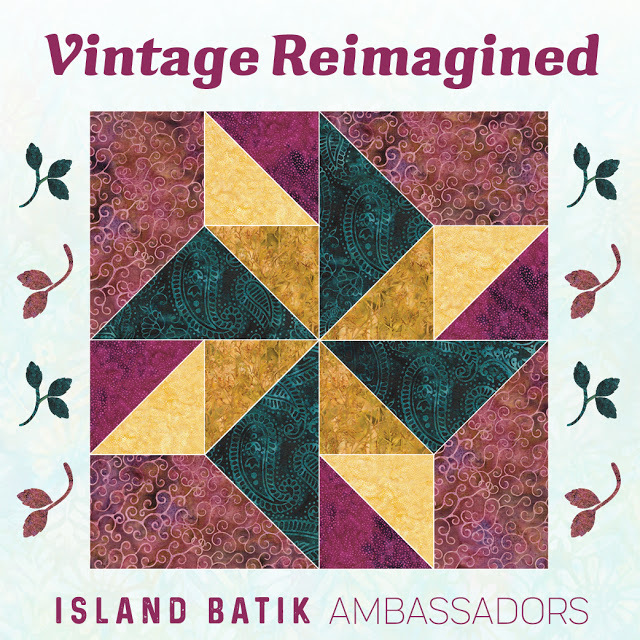 Be sure to also visit and like the ISLAND BATIK Facebook page where you’ll learn more about their fabrics and also get to see the fun things happening in the Ambassadorship program….be sure to visit all of this year’s Ambassadors’ link to see even more stitchy fun. https://www.facebook.com/islandbatik/ . Together, these are going to be an absolute blast to work with. 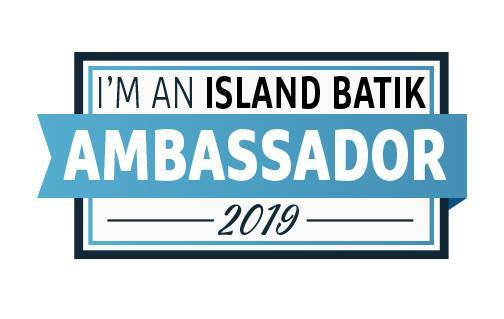 There’s a lot more to come…..but I just wanted to get you in on the Island Batik Ambassador loop so you can follow along! Studio updates!!!!!! It’s been a too long since the last post!!! Time just flies by so quickly – and it’s been way too long since the last blog. I thought that this evening I’d take a few moments to just touch base to say Hi and to let you know how things are going. Well, the Studio move was a wonderful thing for me…and I find that since the move there’s a whole sense of new direction and organization – putting into practice some of those things that I’ve been wanting to as a part of the new restructured Studio. The Studio has been crazy busy and growing; it’s so exciting to add new customers to the base…Welcome to the Studio!!!! I am working hard to find new goodies to keep everyone in stitches!!! There were some new items that were ordered at the Quilt Market in Portland in May that haven’t yet arrived..so there’s new goodies in our future :-). Actually, there’s a new order of Batiks that is scheduled to arrive at the Studio this week along with some new regular quilting cottons. I just received word that a couple of new collections that I had on order has just arrived at the warehouse so those are expected to arrive at the Studio next week. I’ll be sharing these new fabrics with you as they arrive. 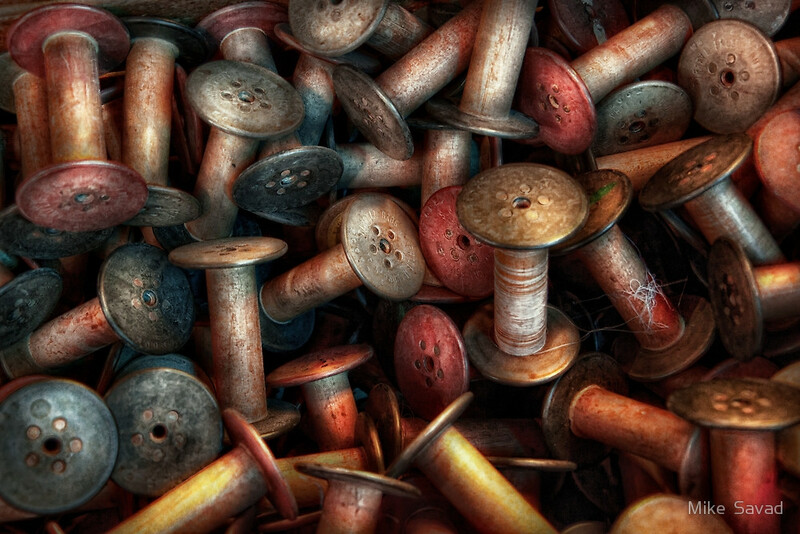 These’s also a wonderful collection of stunning homespun cottons…..YUMMY!!!!! 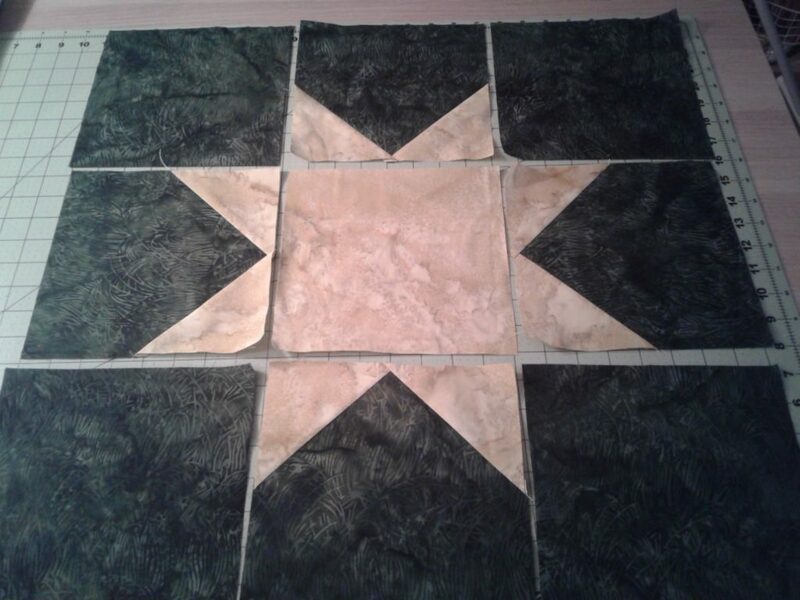 I am also working towards getting ready for the Houston Quilt Market in November….there’s still so much to do to get ready – it will be a busy next couple of months getting the new projects completed, patterns written and preparing for the Schoolhouse series there. The Toscana Club was launched on July 1st. If you haven’t heard about it, just click on the WHAT’S NEW logo at the top and you’ll find all the details there. If there’s anyone who would like to join, you can still do so – past club installments can be had along with the next current month…. the next installment will be ready to send by August 1st. The big news this week is that I am finally taking some time each day to start getting the products listed in the web store. If you go to the shop on the website and scroll through the different departments, you’ll now notice that the web store is not as empty as it was….of course, based on what needs to be added vs what is already there. there’s still just a little..but I will be working hard to keep added stock – so be sure to check back often. 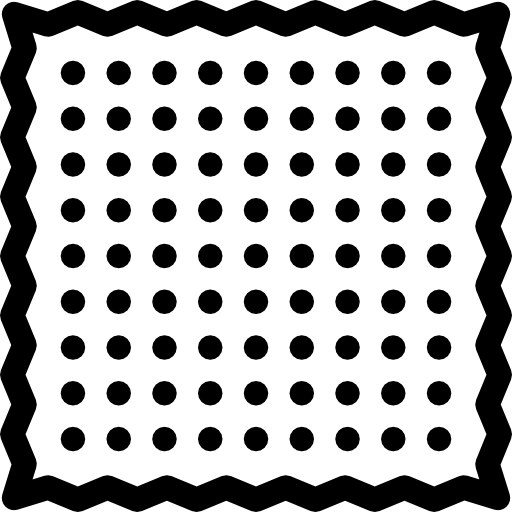 In many cases the products are ongoing…in other cases the stock is limited to want is currently available. The beauty about the web store is that when stock is low, you will see it on the site. In cases where the stock is constantly being renewed, even when the stock fall to zero, you can still place an order because it will be filled as soon as the next stock arrives. The biggest thing that we need to remember about the web store is that when you check out, you’ll get the total for your order with tax. The postage for your order will not be calculated by an online calculator. I’ve decided to dismantle the shipping charts on the web store because I find that most of the time, the calculator overcharges for shipping. Since my goal over the years as been to always find the cheapest postage possible for my customers; I feel that the best senario is to wait til the order is filled to reconfirm the postage. I will then invoice and get iin touch as I’ve always done; and payments can be made the way that you’ve always made them; whether it’s an invoice through paypal, and etransfer, check or credit card. I am doing what I can to keep everything as simplified as possible. I want to thank all of you for our continued support and your patience as I work to get the website up to date. Once it is fully stocked and running, you’ll be able to sit at home and brown the web store to see all of the wonderful goodies at the Studio. Meanwhile, of course, you’ll still want to keep following and watching my Facebook..because there will always be fun announcements there. Quilty hugs across the miles! 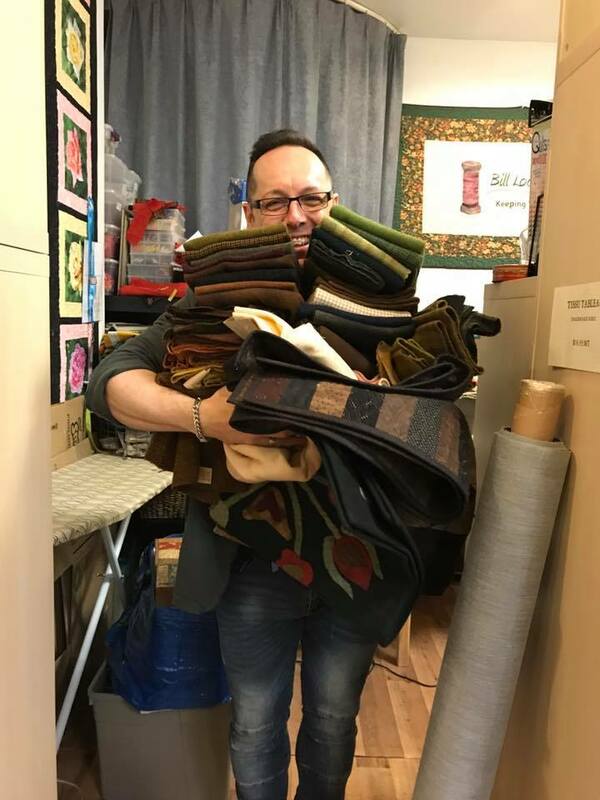 I just wanted to remind everyone that as a part of the new Studio move, time will be allotted to participate in local and not-so-local quilt shows and events. :-). I am already have several invitations for 2019 and am currently starting to organize a calendar of events. If you would like STUDIO BILL LOCKE to be a vendor at your event; or if you’re looking for fun workshops, trunk shows or demo events, please write me via email: bill@studiobilllocke.com and in the subject line, please put “EVENT”. Remember, you can now book a STUDIO POP UP SHOP for any guild meeting/event……get to see new products, demos and shop in the comfort of your guild meeting. For Vending, I am entertaining invitations from Quebec and Eastern Ontario at the Moment but I am open to other options. I have received some special orders recently for some of you that I’ll catch up on this week…new shipments of goodies will be arriving over the next few days so I’ll be busy before Market, making sure I get everything caught up on before I go. For those of you who have ordered the Quilting Hoops, those are expected to arrive at the Studio on Friday or Monday so will be in touch at that time. Quilty Hugs Across the Miles!!!!! DRUM ROLL!!!!! And the new Studio is launched……….read all about it!!! :-) Good-bye Westmount!!! Hello Lasalle!!!!! Well, Here I am; finally ready to share with you all of what has been in the planning stages these last few months; and what has now materialized in the new STUDIO BILL LOCKE – My New Creative Space. During the last year, the online customer base has been steadily increasing; but the interest from the local market remained quite low; with the online clientele making up about 95+ percent of my customer base….so a couple of months ago I decided to to put plan B into motion – and here I am!!! I will make mention that over the last few months, the majority of my local customers who order regularly from the Studio have opted to mail order as well since it’s easier and less expensive to have orders mailed out than to have to travel into the city to pick it up; which in fact increases the online clientele even more. The great news is that January, February, March of 2018 have been the best Jan/Feb/March quarter in the history of the Studio – and for that I say A BIG THANK YOU from the bottom of my heart. You are the ones that make this possible for me each day; to do what I love and to bring fun and creativity to so many through the STUDIO BILL LOCKE. I am very excited about the changes that have been slowly taking place over the last couple of months behind the scenes, and how everything is falling into place with regards to the new business plan. The coming months are going to be exciting and very creative with all that I am planning to bring to you. I wanted to wait til now to do the official announcement because it was important that I get the news out to everyone at the same time rather than to one customer at a time. I also wanted the official announcement to come though my Blog since the blog is associated with the new website. I haven’t been blogging in ages; and the new website has been in the work for quite some time..but, both of these tools are now becoming an important part of the new Studio. With regards to the website, it will take a little time but all new products will be listed in the web store so that you can easily see as much as possible from the comfort of your home. The thing that has taken the most time is working out the shipping calculator. You see, many online sites use automated calculators that I find often charge more than actual shipping for orders. I want to have the same, exact/low shipping costs that I have become known for – no extras. In order to do this we have deactivated the shipping calculator…you can still shop, fill your cart and sent it in – it will give you the total with tax; but will not included shipping costs. 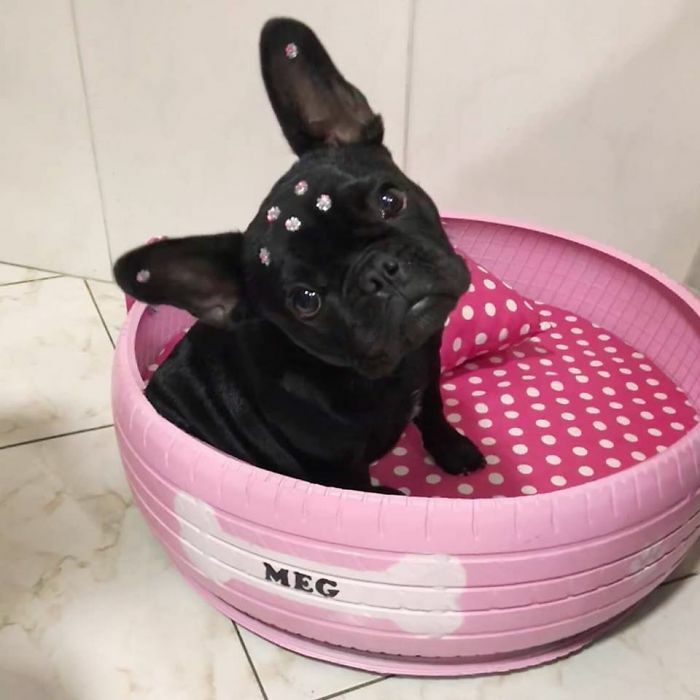 Once I receive and prepare your order, I will calculate the “exact shipping/postage” and then get in touch with regards to payment as I always have done. Payments can still be made by etransfer, Paypal or Credit Card (Visa/Mastercard). I will be aiming at doing a new Blog Post every week….a great way to showcase a new products, a new event, and upcoming announcements, etc. This will be my new way of sharing with all of you more often. Now, in case you haven’t already guessed it, I will have decided to make the new STUDIO BILL LOCKE a online studio only….but with a couple of twists that will especially be of interest to my local customers. I would like to share with you what the new Studio will include….I am so excited about this new adventure…and I can’t wait to share it all with you and grow in this new space with each of you. OH…I must tell you….the new Studio has found it’s roots in my home…..and I am thrilled because it makes things so much simpler. I love being able to get up in the a.m., take a shower, get dressed, take my coffee and just simply walk 1/2 minute to work :-). This past year, my sewing/creative studio and office were in my home but the Retail Studio was across town. Now, all of this is under the same roof and I couldn’t be happier. This move will allow me a more flexible schedule to run my business since my customers are covered by so many different time zones. With new customers coming on board on the other size of the pond,…. when I am having my morning coffee, you’ve already gone though most of your day and your messages can now get responded to more quickly. For customers on the West Coast….. as I am winding down my day in the evening, you’re just getting home and doing your shopping…so having everything at my fingertips will allow me to function so much more easily to serve you even better. I have always prided myself on great customer service; and for me, it’s always much more than just making a sale; it’s finding the exciting products that are going to make us all scream with joy; it’s the personal touch that I am able to have with all of you – because you’ve become my friends; you are not just my customers. There’s a relationship that we build; a special bond…and I enjoy that personal touch that we develop though our messages. So the new STUDIO BILL LOCKE is online only – what does that mean? All orders for the new Studio will be online orders only; but orders can be placed in 2 ways. Eventually, once the new web store is stocked, you can place your orders on line, or you can also leave comments on any Facebook post or simply email me…..any of these methods can be used to order from the Studio. The biggest change will be for local customers in that it won’t be possible for you to simply drop into the Studio to pick up your orders. All orders will be mail order. Note: there can be some exceptions where some customers will need to pick something up..this can be done by appointment only – BUT…this is simply an exeception and not a rule; since the goal is to work towards just online/mail out orders. Umm..what’s this? 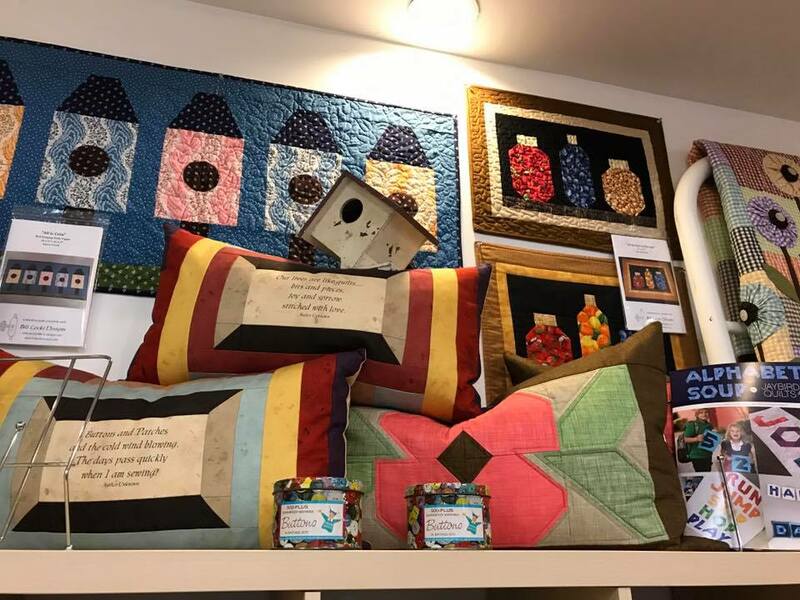 Well, this is a great way for local quilters to see more product and shop in person. Your guild can book a pop-up shop for any meeting or event; no engagement fee. 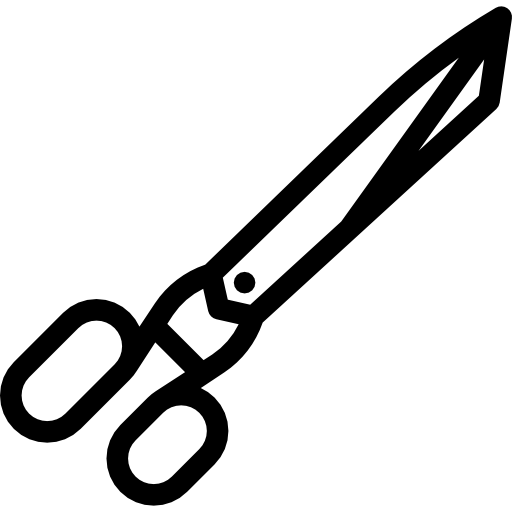 I will arrive before the meeting begins to set up the STUDIO POP UP SHOP; sharing lots of fun goodies with your members; fabrics, patterns, notions, introduce new items/demos…..and your members will enjoy the opportunity of shopping on the spot. Any orders for out of stock items that are taken at the guild meeting will be delivered back to the guild for distribution. 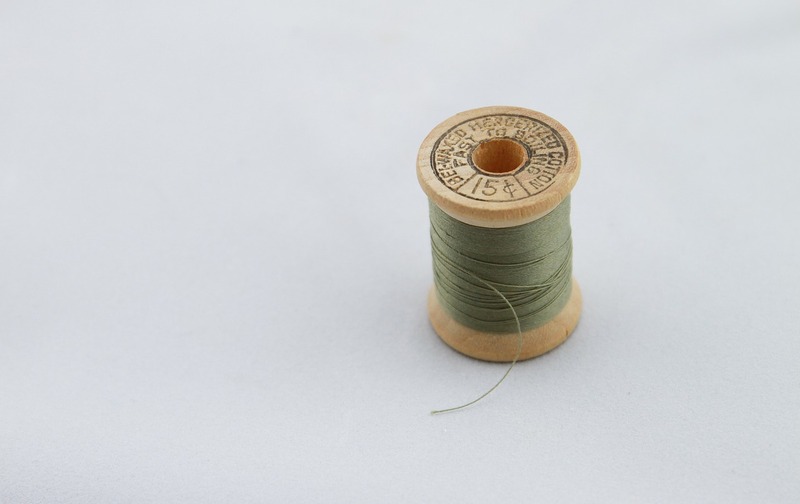 C. Classes, Workshops, Trunk Shows…. Yes, all of the above!!! 🙂 With the new Studio, time will be available to be on the road to participate in more events. This past year I had to decline several invitations for events because of my responsibility with the brick and mortar shop. Going forward, the new schedule will allow for more time away from the Studio to be able to participate in these fun events. D. DESIGN TIME!!!! Quilt Markets and Quilt Shows! One of the most important things that I’ve wanted to get back on my agenda is my own design time. I have so many fun designs and projects that need to get completed so that I can share then with you. This means new, fun BILL LOCKE DESIGNS in both wool and cotton…so look for new designs to start coming your way by this Fall. The new design time allows more time to accept design engagements with other companies in your quilting industry. Just for the record, a fun design will be released at The International Quilt Market in Houston with ISLAND BATIK; my third season designing with them; I am currently working on a new design for VALDANI THREADS to be displayed next month at the International Quilt Market in Portland; and there are other, fun new prospects in the works. This past year has been an exciting year with BILL LOCKE DESIGNS Pattern launches in two NANCY’S NOTIONS Catalogs as well as a fun collaboration with a new design for a CONNECTING THREADS Fabric collection/Catalog; and several fun designs to showcase fabric collections for P&B TEXTILES and WASHINGTON STREET STUDIO. This new Studio concept will allow the opportunity to increase my design time and to get back to that part of the business that I love so much. 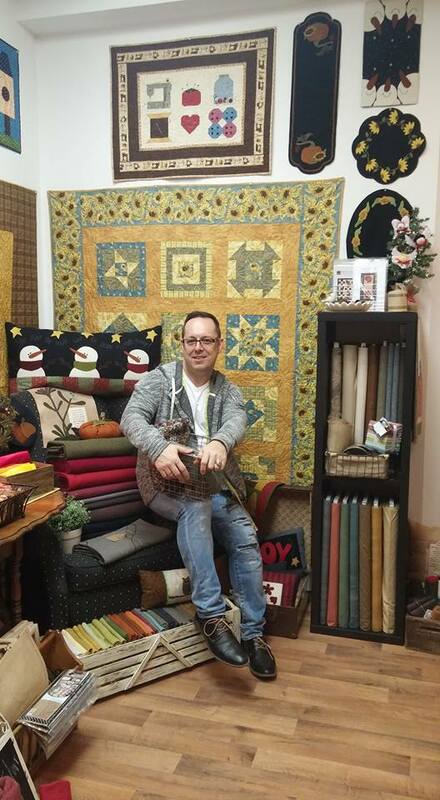 STUDIO BILL LOCKE is expected to be back in Houston, TX in November with it’s own booth once again at the International Quilt Market. I make an effort to attend at least 1 International Quilt Market each year. I would like to visit more….the more I get to market and trade shows the more fun I can share with you. It is also important that STUDIO BILL LOCKE get back to market with it’s own booth showcasing fun designs for my wholesale customers. 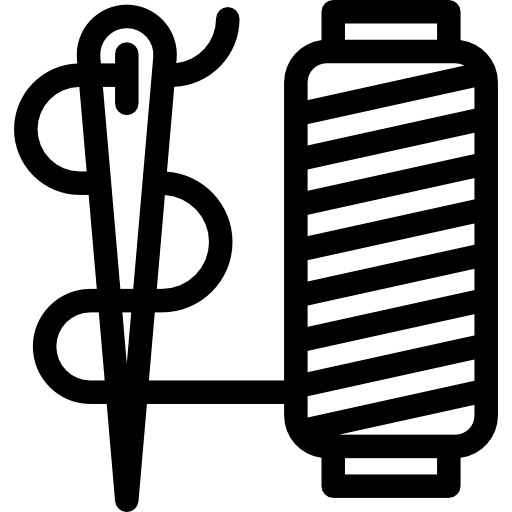 I would also like to be present as a vendor at local and out of town quilt shows. So…..there’s lots and lots of changes but they are exciting developments; things that will allow the Studio to grow and prosper; but also changes that will help me give you even better customer service; as I said, I think it’s been pretty good so far :-)…but I want to make it even better. I appreciate each and everyone one of you that continue to show your support to the me and the Studio…as I have said so often, without you I wouldn’t be able to do what I love each and every day…I am truly blessed and and truly thankful for your support. Thank you again and wishing you all a wonderful and blessed day! Yes, the studio has moved and I’ll be sharing an update of the developments with you soon..I PROMISE!!! Thanks to everyone for your support and patience!!!!! In recent months, the main area of focus for communication has been my Facebook…and while that will remain, I also want to start with getting back on track with my blogging. This will be the place where you can come and find out all of the extra things that is happening; perhaps in a bit more detail. See the goings on at the Studio, check out fun and interesting links that I’ve found to share with you; this will be a great place to bring it all together. I’ve been working on a special project this weekend….and here it is. 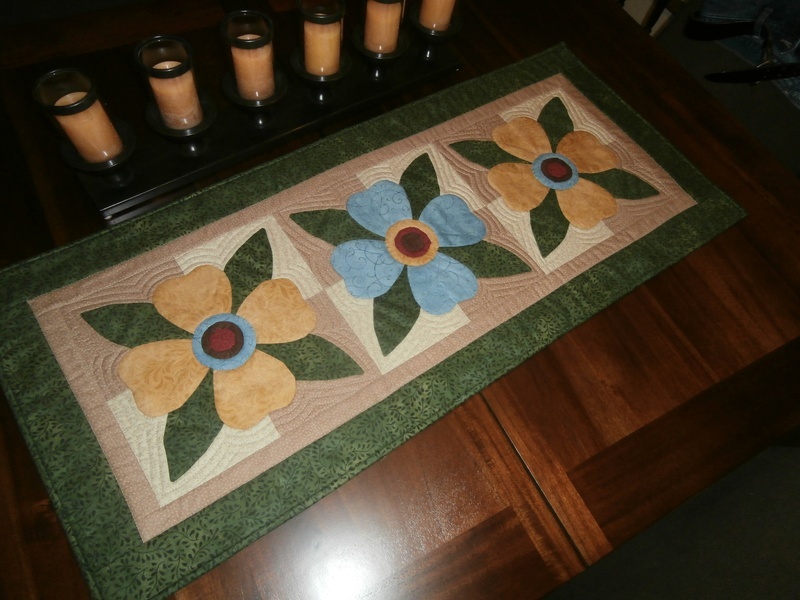 The POSY TRIO Table Runner is one of those fun designs that was born as a great class/workship for the Beginner Applique level (although it certinaly is a fun design for all levels). 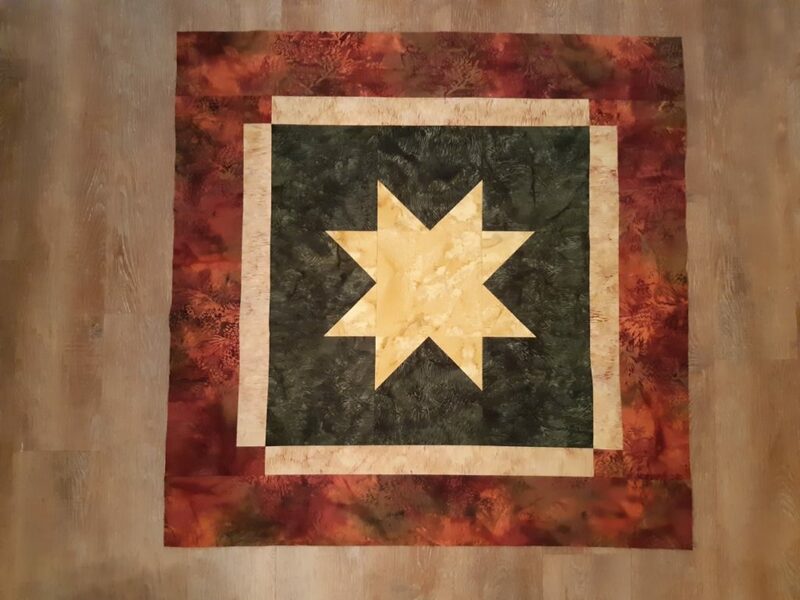 The design uses the no-raw-edge-applique method that I so often use in many of these fun designs. This project featues many of the beautiful prints and colways from P&B TEXTILES, from their BEAR ESSENTIALS and BELLA SUEDE Collections…the fabrics are just absolutely wonderful. 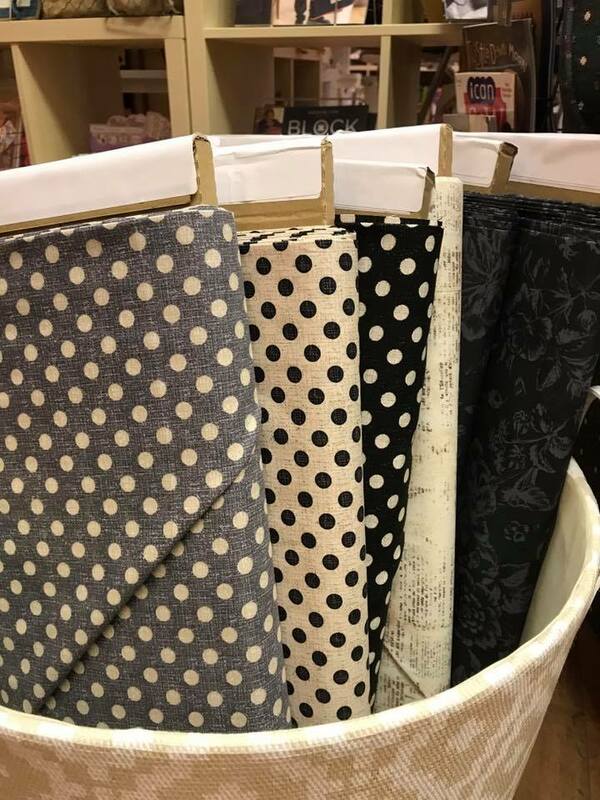 These collections offer such a wonderful variety of designs and colors; and the handfeel and quality of the collections are just so wonderful; working my way though this project was like spending some time at the Quilting Spa…these fabrics sew like butter and compliment each other so well. If you’re not familar with these P&B Collections, you’re going to want to check them out….you will be so pleased that you did. You’ll be seeing more and more listings featuring the amazing collections from P&B TEXTILES. Keep watching. As the new collections are released, I’ll have the privilege of designing and creating new projects to share with you in the exciting new fabrics. I am thrilled with the opportunity; and I’ll be sure to share the experience with all of you. 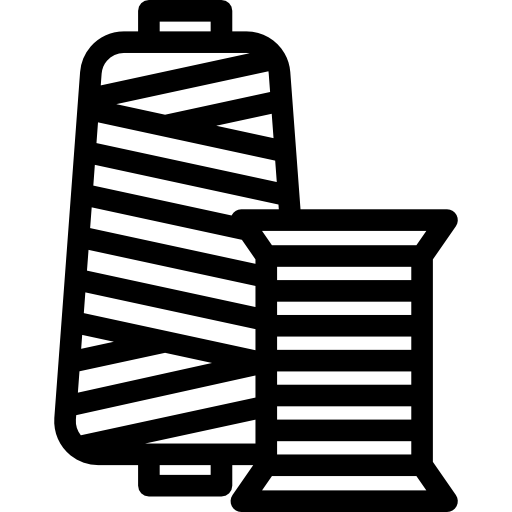 To the interest of Quilt Shops, wholesale inquiries for patterns are welcome. Have a wonderful day everyone!!!!!! Online only – or by apt.